Why did I start a watch brand? It’s a fair question, and one I’ve been asked frequently enough to dictate I properly explain somewhere, for the record. I suppose watchmaking isn’t just something you pick up on a whim one day, nor is it something that, even if you had a burning desire to do, can easily begin by submitting a CV to a headhunter. Watchmaking, in its purest definition, is a vocation, not a profession. You physically have to make something, and in the process of doing so – from scratch, of course – then understand everything from engineering to metallurgy to physics to aesthetics. It is the kind of intellectual pursuit undertaken successfully by only the most dedicated, the most skilled, or the most masochistically insane. I am not a watchmaker in the purest definition, nor am I dextrously skilled, but I am fairly dedicated and probably also insane. After all, eight years ago I did quit when I was at the top of the corporate game to start over as a photographer. And now, not having learned my lesson, history repeats. But the accumulation of knowledge has always been much cheaper, if not downright free. I learned everything I could about anything horological; focusing on the movements, complications and the mechanical side of things before giving a second thought to the aesthetics. At the time I thought many others had done design better and more coherently already. And my preferences were strongly influenced by my favourite brands of the time, leading to rather derivative looking attempts at my own movement designs. I’m sure those early movement attempts had more than their fair share of flaws and wouldn’t have any hope in running. Often I’d realise this before completing the drawings – yes, with pen and tracing paper back then. The keyword here is “visual”: I guess this is the way my brain works; everything translates or decomposes into patterns, shapes, colours, luminosity. I had to try to design my own and see if I could do better with the little knowledge I had. A movement may be mechanically superb, but if it’s visually boring, I’d rather have an interesting solid case back. “Interesting” also doesn’t necessarily mean complex – this took me some time to learn, too. In parallel, I met some very nice people on the internet that were as crazy about watches as I was; the movers and shakers of the watch world in 2019 all occupied one little corner of the internet in 2001, and I remember meeting them in person in various events around Europe in those years. Fortunately, I was living in London at the time which made access much easier. Whilst I still felt massively out of place financially at those gatherings – I remember making excuses for more than one dinner, being on a student or lowly audit junior budget – at least I could hold my own on the knowledge front. There was also the inspiration of several other fellow collectors who were photographing their own pieces for various reasons – and kind enough to lend the watches to me to photograph, too. In this way I was able to experience a watch and take away a small slice of my own impressions for posterity. Perhaps not the full experience of ownership, but at least something to visually remember the piece by. This would later turn into the foundations of my photography career and mark the first loop of the cycle of watches to photography to corporate and back to photography. One’s initial desires as a collector do not necessarily stay; we are swayed and drawn by the iconic pieces, then the “something different”, then the complex, and at that point you’re commissioning piece uniques. Not everybody makes it this far, of course; you need to have a certain level of income to climb the ladder. Two important things to note here. Firstly, if you look hard enough, there are watches that fill all of those criteria at every price point. A modern grand complication wristwatch will set you back six figures or more (the currency doesn’t even matter at this point), but back then, a little hunting would yield the same functions in a pocket watch, quite possibly better finished but certainly larger and easier to appreciate, in the low thousands. The options have only gotten even greater in recent years with the rise of microbrands and internet retail. 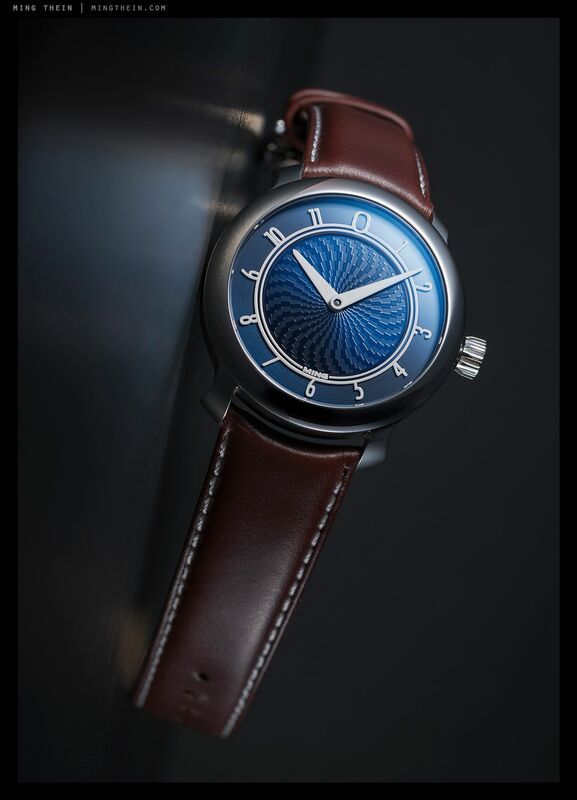 Secondly, assuming you make it through a few steps of the cycle – you find that increasingly bigger infusions of horology are required to keep the passion going. No longer are we content to be invited to a cocktail night at a boutique but we must go visit the independent watchmaker’s atelier, examine the screws under a microsurgical microscope and choose the cows used to make our straps. Then there is a certain fatigue that sets in after a while, not to mention either financial ruin or the frustration of watching but being unable to take part (for the same reasons of impending financial ruin). In the meantime, I’d stopped shooting watches professionally because I found it was starting to severely reduce my enjoyment of the hobby. Rare pieces that would appear once in a blue moon at collectors’ gatherings were now presented in every variant on a tray, to be captured “front, side, back and, 3/4 views; thank you”. I went to a watch show in Asia in 2014 as the guest of a friend and serious collector who was there to investigate a potential heavyweight purchase, along with a few other friends who accompanied him for moral support and to eat the beef noodles. We left somewhat disillusioned by the lack of quality service, the pretentiousness and, well, the feeling that even entry-level watches were starting to become silly money. Case in point: in 2002, a decent, used Submariner or Speedmaster could be had for a little over a thousand US dollars, while a new entry-level Patek Philippe or Lange, or a complicated JLC, was perhaps five thousand, and that already felt like silly money. Then add twelve years, and multiply everything by five or more. Inflation exists, but not at 15% per annum. Our group wondered if there were alternatives. We started looking into independents, and for me personally, the watchmakers that would be willing to entertain serious customisation without breaking the bank. That meant compromising on the movement, but as it turns out, there were still interesting alternatives to be had. 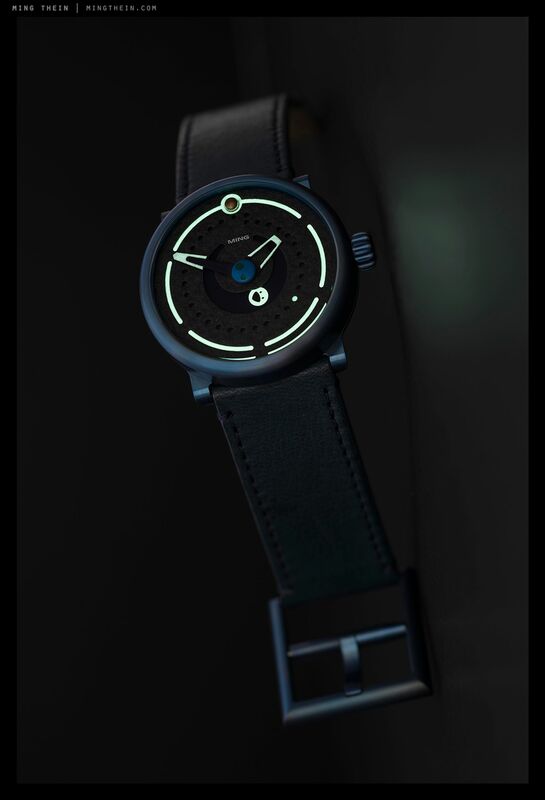 Ochs und Junior took up the challenge and gave me very simple, but reliable, annual calendar and high accuracy moon phase watches, but more than that, forced me to adapt the design to be coherent with the immutable parts (cases, dial layout and indications, production limitations). Until this point, I was still designing, evolving both my movement conceptualisation skills and aesthetics. By now, I’d developed a coherent design language and put over 50 watches, including movements, on paper. These watches would represent the baby steps towards seeing them come to life. But first, the ornamental complexity had to go, so design would be reductive instead of additive. It was an interesting process that forced me to really identify and simplify critical elements required for time telling and cutting stylistic cues down to the bare minimum. The Simpleton and Celestial collaborations with Ochs und Junior were the product of those experiments, and it’s probably clear that design elements from both made it into MING. During this process, the possibility of making our own watches became the subject of discussion amongst that same group that went to the fair – myself, K.M. Chan, Y.F. Chek, J. Lim, and two new additions, M. Bosse and P. Rajsingh, all of whom would go on to become the founders of MING. In the meantime, there were questions to be answered. What price point? What style? How would we make it at least self-sustaining, if not commercially viable? 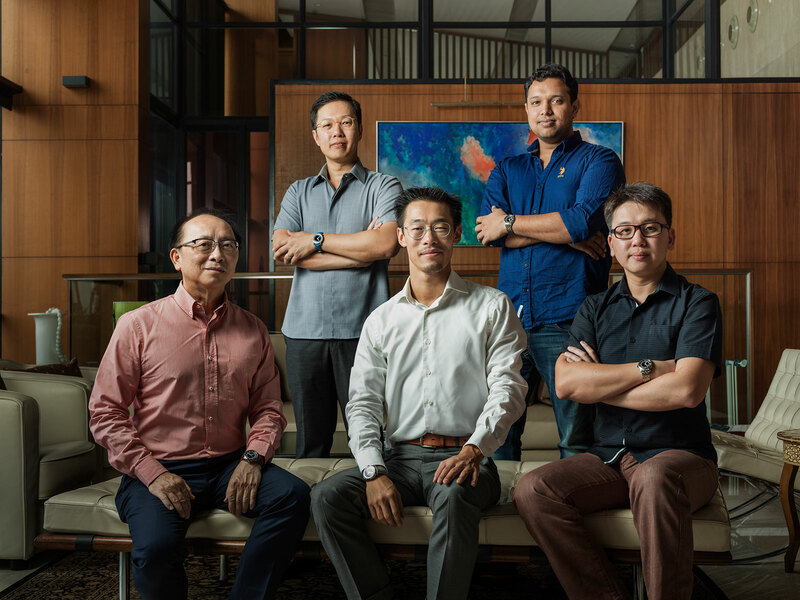 Some of the founders of MING: (clockwise from left) KM Chan, P. Rajsingh, J. Lim, Ming Thein, and YF Chek. Dr Magnus Bosse is not pictured. We did agree that simpler – reductivism again – would be better, and more expensive doesn’t necessarily increase the horological merit. If anything, it would be much more difficult to design something interesting with a very limited production budget. We were aiming for a sort of palate cleanser born of the experience of dining too richly. 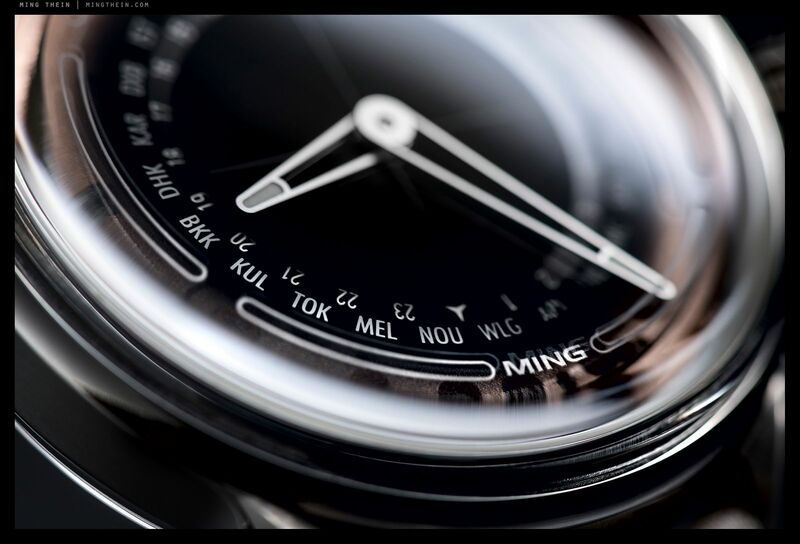 Several conclusions were reached, which form the underlying principles of the Horologer MING company. 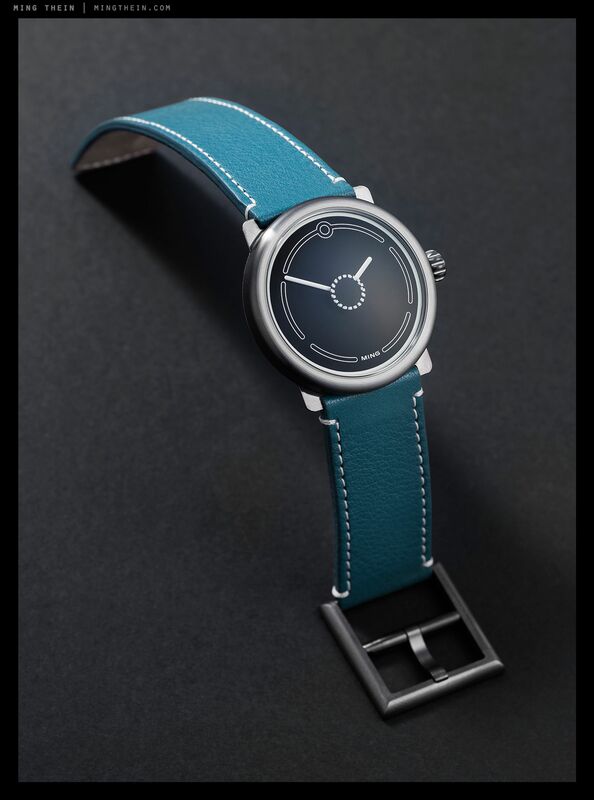 – The watches have to be mechanical, else they lose most of the soul and all of the production budget as well as market acceptance required to make something interesting. 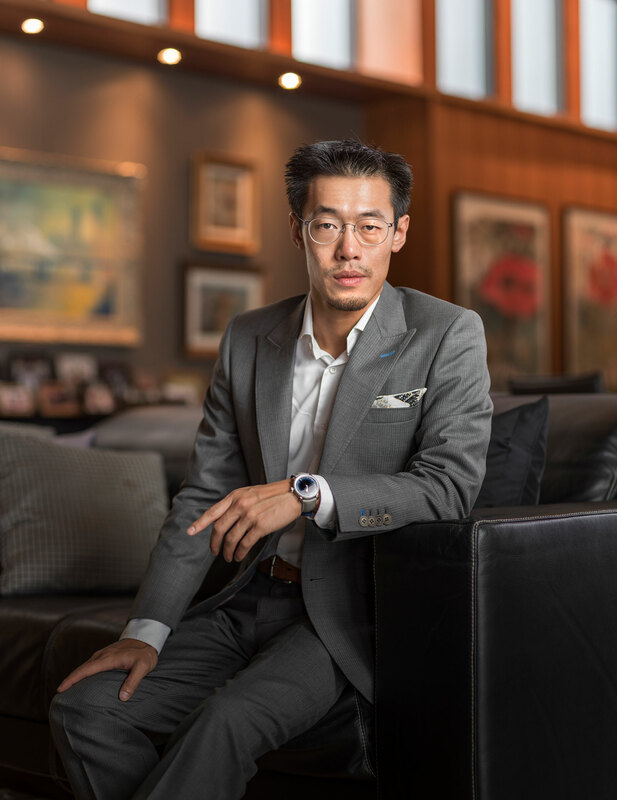 – The watches have to represent value, regardless of price point – we need to deliver bang for the buck and something that can hold its own in any company. 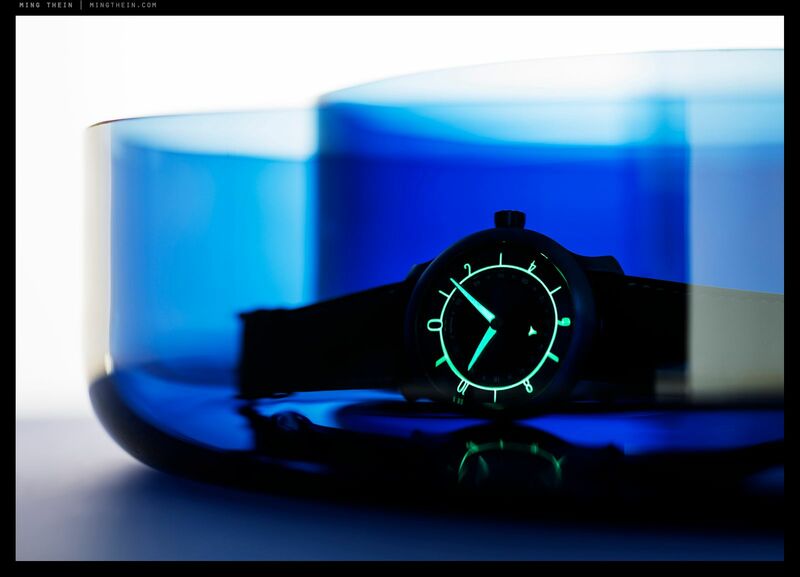 – The watches must have integrity and coherence from both a design and mechanical standpoint. They need to be honest – we use the right movement at the right price point and won’t glorify a basic ETA or Sellita, but if there’s something to show off we will. 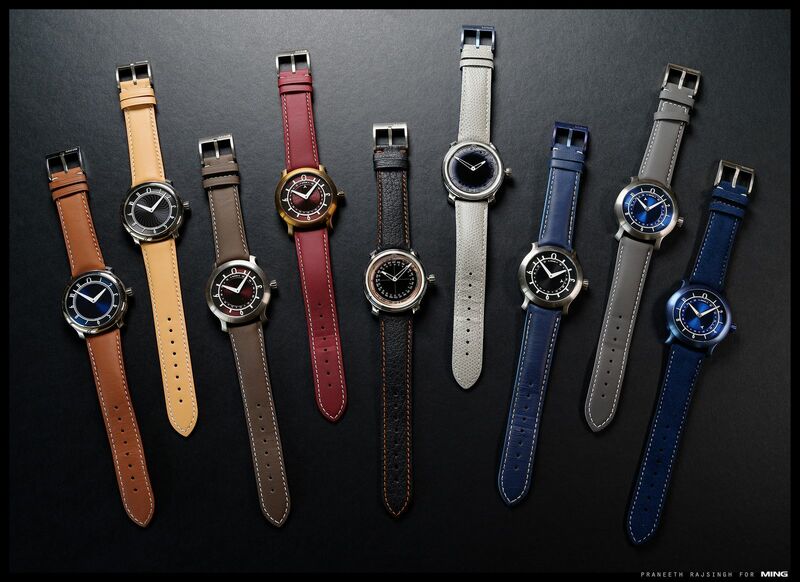 – We give credit to our production partners if they contribute critical elements to the watch. – We preserve brand value for ourselves and our customers by holding pricing and committed production numbers – no reissuing of limited runs no matter what the demand, and our underestimation of it. – We aim to deliver an excellent and consistent level of customer service. – We need to charge enough to stay in business, support existing customers and reinvest in interesting products. – We prefer to spend money on making a more interesting product rather than promoting a less interesting one (and can’t afford to outspend other advertisers anyway). – Above all, we need to believe in our product, both the watches and the overall experience. Being collectors ourselves, we continually assess all customer-facing elements of the business to make sure we ourselves would be happy if on the other side of the table. Some of these tenets have other cascading consequences, such as holding pricing and no discounts, or consistency of customer experience and delivery of value. For instance, it means that conventional retail is out because of the margins demanded, and because of the risk of discounting which in turn further erodes margins. That puts limitations on our reach and physical ability to show watches, and in turn impacts sales, economies of scale, and sustainability of business. Of all the industries and businesses I’ve been involved in, this one is perhaps the most difficult as there are so many moving pieces. We do not and will likely never make our anything ourselves. We might finish some elements (like heat bluing cases). but the reality is the necessary ecosystem and supplier network does not exist in Malaysia. The expertise is simply not here. We acknowledge this by working with the best partners we can find for a given project, whatever the level of the piece may be. 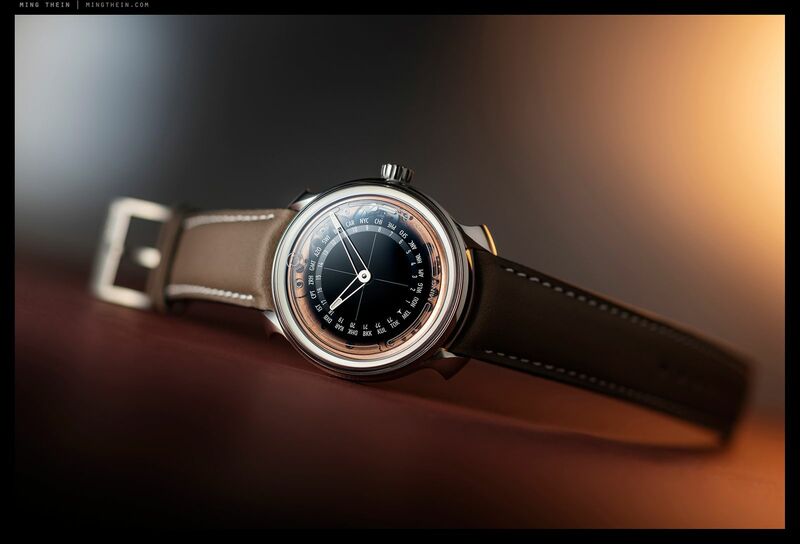 It means we have Schwarz-Etienne for the 19-series movements and assembly, Sellita and ETA in the 17-series, and others for forthcoming pieces I can’t talk about, with yours truly doing most of the photography. So history repeats, but this time, I can do all of the crazy photographic stuff that more conventional marketing says away from. It would probably have been a much easier sell to purchase an old name and some claim to history, rather than picking an Asian name while acknowledging we were 100% fresh off the boat, but that would have been disingenuous. We have no heritage, but we are creating it as we go along. There are no expectations or rules we have to follow, or even a conventional business model, for that matter. There was nothing to prevent us launching the 19.01 immediately after the 17.01, with an order of magnitude increase in price. The step was partially because we wanted to avoid being pigeonholed as a microbrand, and partially because we severely underpriced the 17.01 and consequently lost money on every single watch sold. Validation came in the form of a 2018 GPHG shortlisting for the 19.01, and the prices at which 17.01s trade on the secondary markets. The way we operate puts us into a strange space – agile and flexible enough to do a wide variety of projects with a wide variety of partners, but serious enough to put out projects that punch far above what most new brands manage. In short, we found a way to make the watches we want to wear. To that end, there’s actually an element of predictability to our releases. Each one, so far, replaces something in my personal collection, specifically watches I’d researched extensively and found to be the best of their kind when considered for an overall balance of aesthetics, mechanics and quality. I don’t pay as much attention to brands as the ownership and wearing experience, and how the physical elements change under different light. Were they alive, or one dimensional? Did different situations reveal better, or worse facets? Conceptually, what elements could I take with me? Keen observers will notice that all of our watches have a few crucial, unchanging characteristics: strong symmetry; flared lugs; curved strap ends; legibility, and distinct minute and hour hands; elements that beget visual layering so the watches can look very different under different lighting conditions; a distinctive luminous signature; crowns that are easy to interact with; wearing balance and comfort. All elements are reduced to their essence, anything decorative must also not interfere with the reading of time, and the hierarchy of the wearer’s attention must be preserved. We have design principles rather than a hard catalog, which makes the visual link between a 17.01 and a 19.01 and the Simpleton clear. It also means that rather than use a made-up name, my investors insisted I use my own – a commitment to a design I believed in. Which also increases the pressure to perform. At present, there’s still a lot we want to do, watches in my collection that have not been replaced, and ideas that have not been tried. At any given time there are over 40 works in progress on the “board”, which is a 15ft by 8ft stretch of wall in the office where designs sit and mature. Things fall off, things get added, things get prototyped and evolved. Any given design has had at least six months to a year of gestation and sitting time before we go to prototyping, because of lead times and cost, and also because often we are too close to a design at the start to be objective about it. 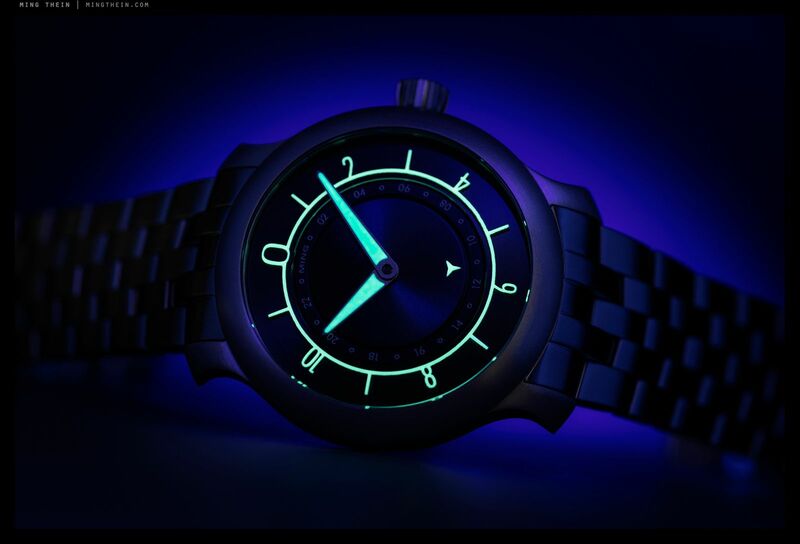 Even so, there have been watches that were prototyped and will never see the light of day for whatever reason, and there are others that have been reshuffled in the schedule, and others still that require quite a bit more R&D to bring to life. I have of course not given up on the dream of making our own movement, but they will need to be saved for some special complications that has never been done. After all, why reinvent the wheel? At times, it feels like we have been in this game for an eternity. But the reality is 17.01 landed in August 2017, and we’ve not even been two years in the public sphere. The MING journey is just beginning. I look forward to seeing where it takes us. Ming Thein graduated from Oxford in 2003 and started his career as an auditor at KPMG. Amongst other things he has been the Chief of Strategy for Swedish camera maker Hasselblad as well as a professional photography. 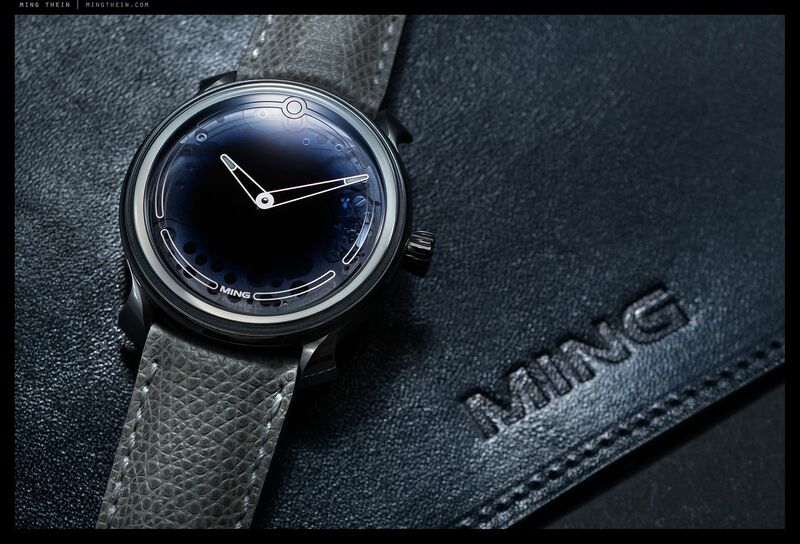 He cofounded Horologer MING in 2017. All images courtesy Ming Thein. 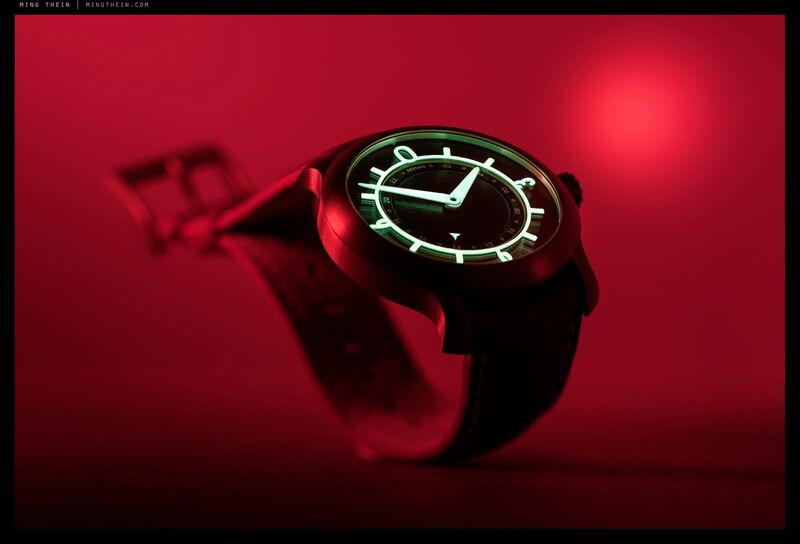 Is the wristwatch without the maker's name on the dial.